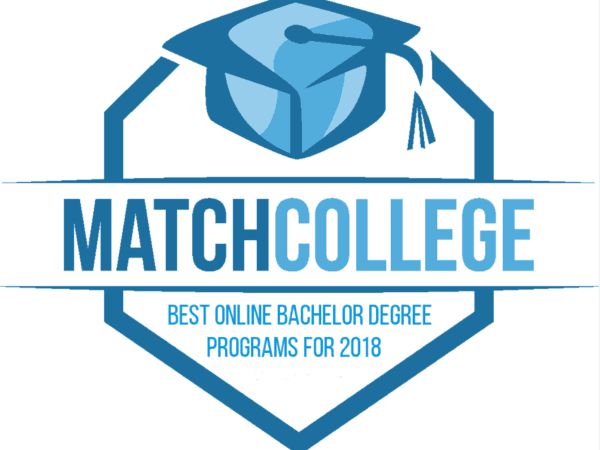 We are pleased to announce the 30 best online bachelor degree programs for 2018. The ranking methodology utilized is located below that includes a wide variety of critical elements gathered from top-tier data resources around the country. By leveraging vetted data from national publishers and government agencies, you can have confidence in your college search starting in the right direction. How to Choose the Best Online College for You? Finding Accredited Colleges – Starting your college search with accredited schools is typically the first step in the process. You can utilize the MatchCollege search portal or the Council for Higher Education Accreditation (CHEA) to learn more about which schools hold state, regional, and national accreditation. These tools provide access to four-year colleges & universities, two-year colleges, trade schools, technical institutes, career colleges, community colleges, non-profit schools, for-profit colleges, and various other higher education institutions. Determining Your Priorities: Starting your college search with a ranking list is a good start to learn more about a particular type of school but means little when juxtaposed with your personal goals and priorities. You are unique. Your goals and aspirations are personal and should be taken into account early in your college search process. Ask tough questions, be introspective, and be honest with yourself. Your goals and aspirations should be at the forefront of this major life decision. Establish Career Goals: Having your personal priorities written down, now it’s time to learn more about your career goals. Taking the time to write down these goals will help solidify a path and keep you motivated when things get challenging. Start your career search by using our list of top college majors or our article directory and search by popular careers. Some of the most popular articles include career profiles for: Nursing, Welding, Psychology, Dental Hygiene, Medical Assisting, Auto Mechanics, Physical Therapy, Accounting, Massage Therapy, Cosmetology, Teaching, and much more. Select a Degree Level & Major: Your degree level options can include a variety of levels of education that can include certificate programs, associate degree, bachelor degree, master degree, doctorate degree, and/or professional certificate. We have detailed what is involved to earn differing types viable degrees and certificates on our college degree portal pages, providing key insights into hundreds of college degree programs. Optimize Your Learning Modality: With the advent of online learning in the past two decades, students today have more choices than ever to align their learning with an accredited college’s programs. Most accredited colleges offer three primary learning modalities for students: on-site or traditional learning, online learning, or hybrid learning. Classroom-based learning is synonymous with synchronous learning where all students are learning the same material at the same time while online learning can be synchronous or asynchronous depending on the curricular design and school requirements. On the other hand, hybrid learning models combine classroom learning with online learning to provide students with flexibility and connectivity. Learn Your Financial Aid Options: Onsite and online college is a large investment of both time and money. However, according to the U.S. government’s website College Scorecard, students with a college degree earn over $1,000,000 more than a high-school graduate on average. The BLS also performed a broad-based study correlating education with income and employment stability. In short, the more education a person attains, the higher income and greater job stability. Your financial aid options will vary by degree type, in-state, out-of-state, community college, career college, public university, private college, technical college, and trade school. Understanding the cost is only part of the financial picture as there may be substantive scholarships and grants included in your financial aid package to help reduce the cost of your higher education experience. You may also consider work-study jobs, outside employment, and/or student loans to help finance your education. In either case, start by understanding the FAFSA and reading our scholarship FAQ’s. Are Online College Degree Programs Right for Me? Is an Online College or Traditional College Setting Best for You? Which Type of Online Degree or Credential is Right for You? Ranking Methodology: At MatchCollege, we work diligently to provide quality information to help current and prospective college students best navigate the college landscape. To that end, we use the following trusted sources of information throughout our website including: NCES, The U.S. Department of Education, Carnegie Classification, Bureau of Labor Statistics, U.S. News, and the U.S. Census Bureau. In order to be listed as a great school on the MatchCollege website, schools must qualify using a variety of scoring factors including: student-faculty ratio, tuition, graduation rates, value per dollar of tuition, retention rates, financial aid, quality counseling services, loan default rate, test scores, cost of living, acceptance rates, program offerings, and the MatchCollege peer-based metric tool.